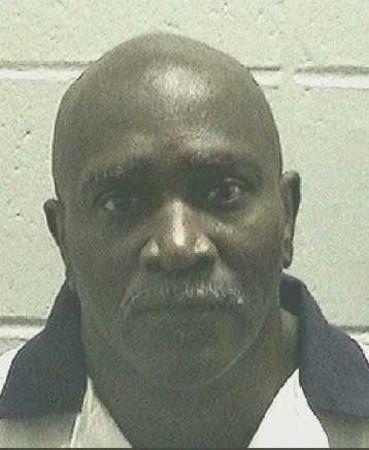 Keith "Bo" Tharpe was convicted and sentenced to death by a jury of 10 white people and two black people in Georgia's Jones County. The allegations of racial bias arose from an interview with one of the jurors years later, not comments made during the trial. Liberal Justice Sonia Sotomayor wrote a statement agreeing with the court's decision not to hear the case, noting that it turned on whether Tharpe could appeal and not the merits of his claim. But Sotomayor said she was "profoundly troubled" by the evidence Tharpe had uncovered. "These racist sentiments, expressed by a juror entrusted with a vote over Tharpe's fate, suggest an appalling risk that racial bias swayed Tharpe's sentencing," Sotomayor wrote. Tharpe's lawyers, as they were preparing an appeal in the case in 1998, spoke with the trial jurors including a man named Barney Gattie, who has since died. "After studying the Bible, I have wondered if black people even have souls," Gattie told Tharpe's lawyers in an affidavit, according to court papers. Gattie also told the defense lawyers that there are two kinds of black people, one who he called "regular black folks" and another group he referred to using a racial slur. "Because I knew the victim and her husband's family and knew them all to be good black folks, I felt Tharpe, who wasn't in the 'good black folks' category in my book, should get the electric chair for what he did," Gattie added. This marked the second time Tharpe's appeal had reached the Supreme Court. In January 2018, the justices in a 6-3 unsigned decision - without hearing oral arguments - threw out a lower court's ruling that had rejected Tharpe's biased jury assertion. Tharpe again appealed the Supreme Court after the Atlanta-based 11th U.S. Circuit Court of Appeals in August 2018 refused to let him pursue his claim. His appeal was built upon a March 2017 Supreme Court ruling in favor of a Hispanic man over a juror's racist comments. The justices on a 5-3 decision in that case threw out a Colorado state court decision that upheld the conviction of Miguel Pena Rodriguez, who was accused of sexually groping two teenage sisters in 2007. A juror in that trial said during deliberations that Pena Rodriguez, a Mexican-born lawful permanent U.S. resident, "did it because he's Mexican, and Mexican men take whatever they want." The question Tharpe's lawyers had raised was whether that decision applied retroactively to his case, meaning he could raise the same claim.